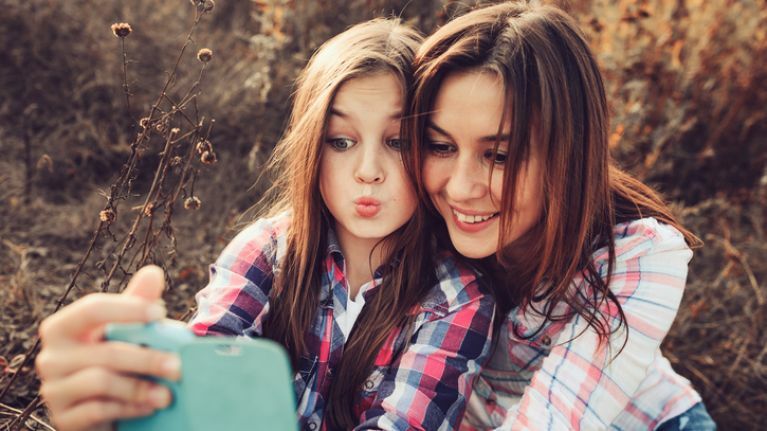 If you missed our talk on parenting your tween this week, fear not, we have some key, and super-insightful pointers from David Carey for your to ponder over. "We know there is a lot going on in these years we call the tween years, typically aged 7-8 and the onset of puberty, the onset of puberty is starting earlier and earlier, a lot of nutritionists think this is to do with fat in the diet. Ability to reason and think abstractly and create conclusions and generalisations is developing at a very rapid pace in these years. And that results in something all parents notice – they don’t take everything we say as gospel truth chipped in granite anymore. They question or more often, disagree – in words or facial expressions – rolling of the eyes, tut-tutting or by exclaiming in great surprise that you might know anything at all worth knowing. The tween period is one in which they want to become more independent but they are not capable of becoming fully independent. So there is this great tension between the need to be an independent human being and them thinking through problems in reality, especially social problems. This is an age where peer reference groups become much more important, we notice differences between play between girls and boys in this age category, boys are more focused on the rules, techniques, and strategy of play, and less interested in who they are actually playing with. And the girls become more interested in the social nuance and the details of play and interpersonal reactions. We can’t parent them the way we did when they were younger because our techniques don’t work as well for this age group, mostly because they are beginning to question and disagree with what we have to say, and the rules and regulations. We live in the era now where we have huge stresses and tensions with technology, screentime, and social media. A lot of kids by age 10 or 11 are getting their first mobile phones. Many, many children have mobiles, and this becomes a link in this movement towards independence, they quickly learn that by going on social media it’s a way of dismissing parents completely and they can distance themselves from their parents. We have all these tensions during these years, making parenting more complicated, but the bad news is that it becomes incredibly more complicated as they turn into teenagers. There are changes in the brain, there are changes in behaviour, and we essentially need to change how we parent our children in these years to a small degree. We need to face up to the reality that social media is the way in which all young people communicate about all social events, nobody picks up the phone and make s a call anymore. If you restrict tweens 100% from usage, you run the risk of disengaging them from their own social world. There has to be limits – I would say, an hour per day for 8-9 year-olds, for 10-12 year-olds, two hours max. No phones in the bedroom, no use of phones in the family car to and from events, family car time is an opportunity to have some discussion. The family dinner is disappearing, and it’s not because of bad parenting or difficult children, it’s disappearing because of the world we are creating. By and large, the socio-economic reality is that most parents are out working, the opportunity to do it once or twice a week, shift work is a great deterrent from family time. At the dinner table, no phones, that goes for adults by the way, you need to practise what we preach. How do fathers parent their children different to mothers? The research says the difference is one thing – men do something that women don’t do, they throw them up in the air, the significant different is physical play – men tend to play more physically than women, in all other factors, the male is equally as adept and equally able to parent as the woman, they can be just as tender, supportive emotionally and cuddly as women are. It is most often the reality that the male is often working all day, commuting and not coming home until the children have gone to bed. So time availability is limited. And a huge influence. But we have researched the impact of an 'available father,' who doesn’t have to be living with the household, this applies to separated families as much as intact families, this male should spend some time listening and talking to the children, who maybe occasionally attends parent-teacher meetings, serves as a protective factor against mental health problems, early school leaving, delinquency and juvenile offending. The keyword is emotional availability, this male should occasionally sit and talk with the child, read or go for a walk with them. It serves as a huge protective factor. Movement towards independence and increased importance of the peer reference group – we’ve often heard parents talk about them not getting mixed up with the wrong influence. They are not seduced by another peer group, they move towards a group that is consistent with their own internal value system, they get this from their family, watching and listening to what other parents and grown-ups do. The peer group is a bridge between full dependence on being a member of the family towards increasing independence and on to the adolescence years semi-dependence. Sport and community organisations, scouts and girl guides are hugely important influences on the life of a tween and teen. I have a concern that we are over-organising the life of a child, I know so many families that are over-subscribed, they are transporting children from GAA, horse riding, ballet, tennis, you name it. Over-programming the life of a child is not a good thing. What’s key here is that we should be doing it FOR the children and not TO the children. Sometimes we are doing it for ourselves, not the children. I am concerned with the lack of opportunity for young people to engage in free play, to sit and think and be creative and do something with their mind as opposed to living life through a screen or through over progreammed seemingly important activities. The number of children with genuine anxiety disorders has astonished me. This has a lot to do with how we are parenting them and stressing them out, school can be a huge focus and source of stress for children too. There are crazy pressures on older tweens because we operate on some kind of myth that they can cope with secondary school when they start– in June. In sixth class, your teacher has been programming you and supporting you and helping you every day of the week. In September in first year, you are told you are on your own, as if some magic has happened in two months. Of course, then there’s the Junior Cert pressure and the dreaded leaving cert exams... pressure, pressure, pressure, some children really can’t cope very well. The age of puberty is decreasing to age 10 or 11 in girls, once the hormones kick in, you can expect mood swings in late pre-teens. These are normal, common and mostly metabolic in nature. Don’t take it personally. When they say, “You don’t understand me,” I hate you,” “you never love me,” sooner than later, they’ll be standing near you in the kitchen trying to get their psychological love tank filled through proximity. Any prolonged disturbance and change in behaviour or personality including mood, sleep pattern, eating pattern, social relationships, any prolonged, sustained disturbance is a sign of possible trouble. If your tweenie begins to leave football because it’s boring, doesn’t associate with their friends, withdraws from people and loses interest in being with the family, if this pattern continues for 4, 6, 8 weeks, then you might have a problem. Parents often ask me, when should I go for help? The answer is simple: ask for help if you are concerned about your child. Nine times out of ten someone is likely to say, it’s not a problem, you just need to tweak a few things at home and you might see a change in behaviour. Discipline - how should we, how can we, what’s the best form? The golden ratio – always give three positive things to say to and about your child, for every negative – 3-to-1 and you will have them eating out of the palm of your hands. Think of the things we do to our tweens that are entirely disrepectful, if we talked to a friend and said: “get me a cup or tea,” "pick up your clothes," “take your shoes and bring them upstairs” – what ever happened to "please" and "thank you," think of how dismissive we are to our children. Like those times when you stop and talk to another adult for fifteen minutes and don’t acknowledge your child, if you did that to your frieend you wouldn’t have a friend, your friend would get up and walk away, right? We are dismissive to children far too often. L stands for listening; this L makes one L of a difference. We must begin to listen more than we yap, yap, yap at them and we need to remember to be polite to them sometimes. All true discipline teaches children how to live sucessfully in this world – discipline is different from punishment – punishment teaches them what not to do, but we all know nature abhors a vaccum, if I don’t learn what to do instead then being chastised for doing the wrong thing, isn’t enough. The secrets of discipline, stay within the golden ratio, use the L word, listen, be firm but kind when you must be. There is nothing wrong with being cross with children occasionally; no lasting harm is ever done. Remember a very powerful word in the adult vocab, NO. The big problem with most parents today is that they talk too much. So we have an epidemic in children of 'parent deafness,' particularly 'mother deafness,' talk, talk, talk... lengthy explanations, pious sermons on what is right and what is wrong. Sometimes a simple NO is enough, If you have to say NO in a stern voice, say it, turn, walk away and don’t look back. No means No – if you live it and say it, your children will respect you for it and respond to it. The more you talk, the more you’re losing. The vast majority of young people are good, decent and kind contributing to society and involved in the lives of others. The ones who aren’t are in the minority. Most children are kind and decent people learning the way we all learn, by making mistakes and living. Sometimes, it’s okay to make mistakes, children are supposed to make mistakes, how else will they learn? Our job is to help them learn and not to crush them with criticism and punishment. If we don’t get our children right, I’m afraid our world is doomed to fail, we seem to be getting better as distrusting one another as human beings. Put the wide angle lense on your parenting, how do you want them to grow up? Do you want your kids to grow up being excellent academically, or do you want them to grow up so that they can live a compasionate life, be kind and decent to other people, because in the end, it does not matter how well you can read, write, calculate maths or get 600 points in your Leaving Cert, because if you do not understand yourself and others you are doomed to a life of frustration. Social and emotional intelligence and social and emotional development are far more important than academic success." Next week is a FREE parenting event on nutrition with paediatric dietitian and mum, Cathy Monaghan. Cathy will answer all your questions on everything from finger foods, causes of constipations, what to feed baby if she is sick, meal planning, reading food labels and even introducing peanuts. So pop over to Movies@Dundrum in the Town Centre at 9.30am next Tuesday the 28th February, and we will be there to chat about all things baby weaning. Bring your baby (or your bump), and we will bring the coffee.